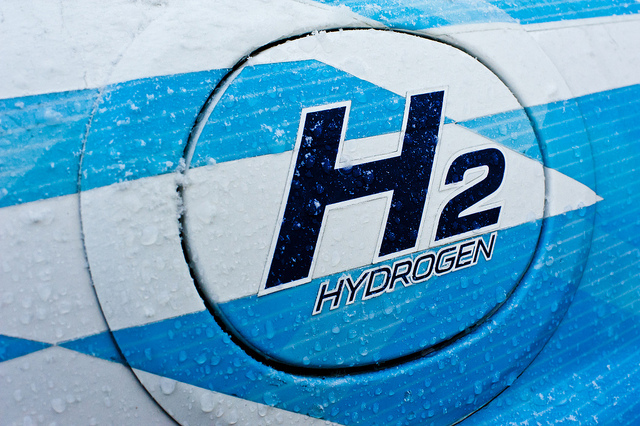 Hydrogen (H2) is not a power source – it’s a form of an energy storage. In order to extract the hydrogen from the source material (i.e. water), we need external energy coming from coal, natural gas, oil, solar, etc. Hydrogen is not clean – currently about 95% of the H2 produced in US is made from natural gas, which means more emissions of greenhouse gases. Missing H2 infrastructure – we need huge investments in order to cover the whole supply chain from sourcing, delivery (pipes, trucks), storage and hydrogen stations. It’s a multi-billion dollar task that will take a lot of time and efforts. EV’s are far more efficient than HFCV – according to Tony the efficiency of an HFCV is 19-23% while the efficiency of the EV’s is about 69% (3 times more efficient!!!). Just for comparison the efficiency of the Internal Combustion Engine is 17-21%. Check out this graph for more details. As a conclusion and based on my experience at IndigoVerge as an IoT expert I can say that HFCV is not a game changer. It’s more of a upgrade to the fossil fuel economy. It’s neither green nor disruptive. It’s a wasteful technology that requires a lot of initial investment, without bringing significant change to the efficiency and the greenhouse emissions. However, my personal opinion is that there won’t be just one winning technology. I believe that both EV and HFCV have advantages and disadvantages and will have their fair share in the automotive future. They just need more time and technological advance to find their proper fit. If you need more details, please watch the video (8 min) or read his article “Toyota vs. Tesla – Can Hydrogen Fuel-Cell Vehicles Compete with Electric Vehicles?”.